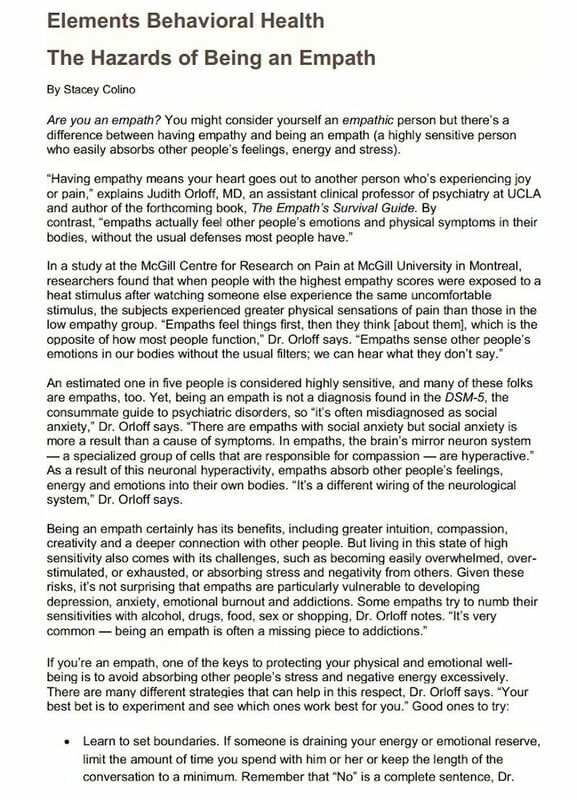 An empath is a highly sensitive person who easily absorbs other people’s feelings, energy and stress. An estimated one in five people is considered highly sensitive and many of them are empaths. Being an empath is often misdiagnosed as social anxiety but the two are very different. In empaths, the brain’s mirror neuron system – a specialized group of cells that are responsible for compassion- are hyperactive. As a result, empaths often absorb the feelings, energies, and emotions of others into their own bodies. Being an empath has incredible benefits, but living in this state of high sensitivity can also have its challenges. 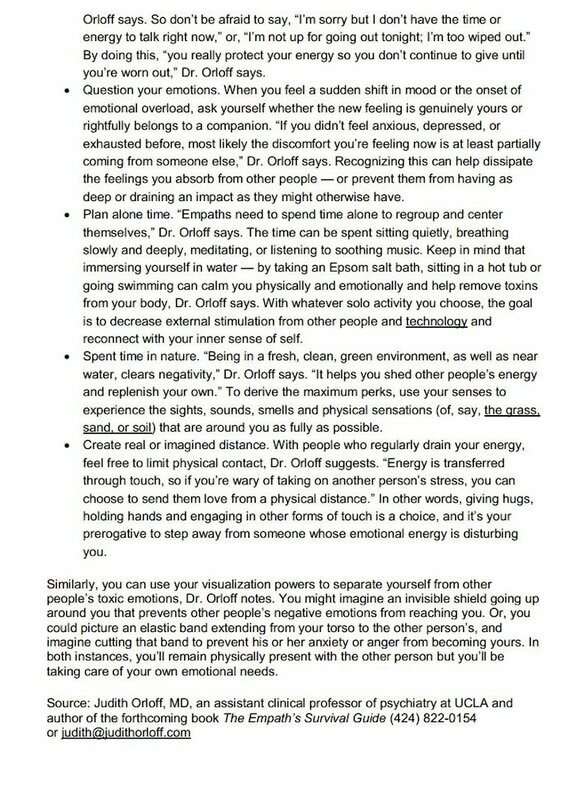 In this article for Elements Behavioral Health, I share the top strategies I use with empaths to help them protect their physical and emotional well-being.